An impressive sport horse stallion with the presence, power and paces that you would expect from his star studded breeding. Z Concorde is standing at Pennine View Stud in Harrogate, Yorkshire. His sire, Concorde, is a proven KWPN stallion of international sport horses competing in all disciplines and not just at national levels. In 2003 he had 4 of his offspring at the World Cup finals. 2004 saw Concorde being awarded “KWPN horse of the Year”. Z Concorde’s damsire, Ramiro Z, has been said to be “a stallion of the century” and is a hero of the show jumping world. This stallion has sired double Olympic gold medal winning horses and countless graded stallions. Z Concorde has a beautiful jump and has been jumped over 1.30 courses but more recently has evented to novice level gaining a number of placing’s and points, with hardly a fault in the show jumping phase. He works at medium to advanced-medium level at home and competes at elementary with many wins and successes to his name. 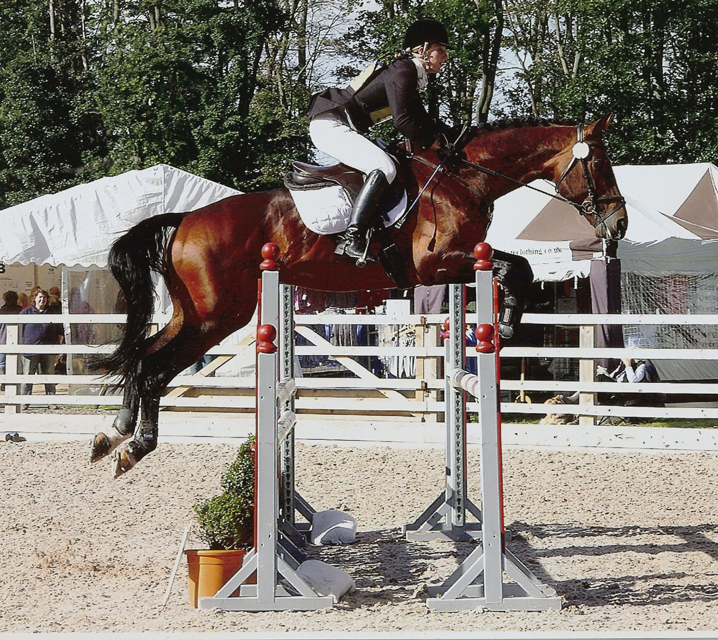 Z Concorde really is an all round sport horse stallion. He is ridden by both Lucy and Chris and has been a big part of the family life at Pennine View Stud in Harrogate, regularly hacking out with and nannying ponies and loves to hunt around Yorkshire when there is time. This strong powerful sport horse stallion will give strength power and top class breeding lines to any mare combined with a kind trainable temperament. Z Concorde is available for natural covering, fresh and chilled seamen and will be standing at Pennine View Stud, Harrogate, North Yorkshire.